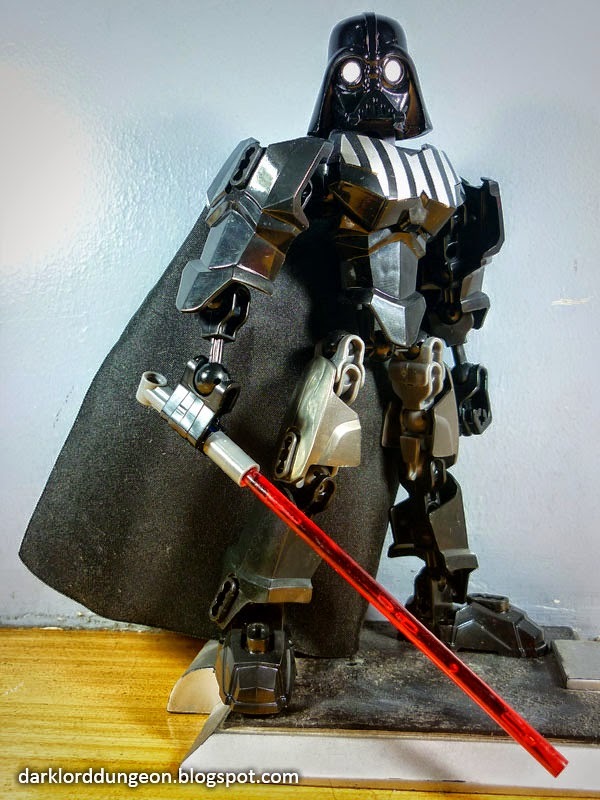 Presenting a knock-off version of SirToys' STAR WARS Ultra Build Darth Vader. It's amazing what you can find when you get off the couch and walk through the toy black-markets. We found the Ultra Build Darth Vader while walking through St. Francis Square in Ortigas. He was just sitting there and we thought "That's cool"
Here's the thing, based upon Ben's review, this Knock-Off is actually better than the original SirToys Ultra Build. Presenting the HALO 4 UNSC Collector's Edition Warthog. Okay! This is the M12 Light Reconnaissance Vehicle, Warthog (or simply Hog), as it appears in HALO: 4. 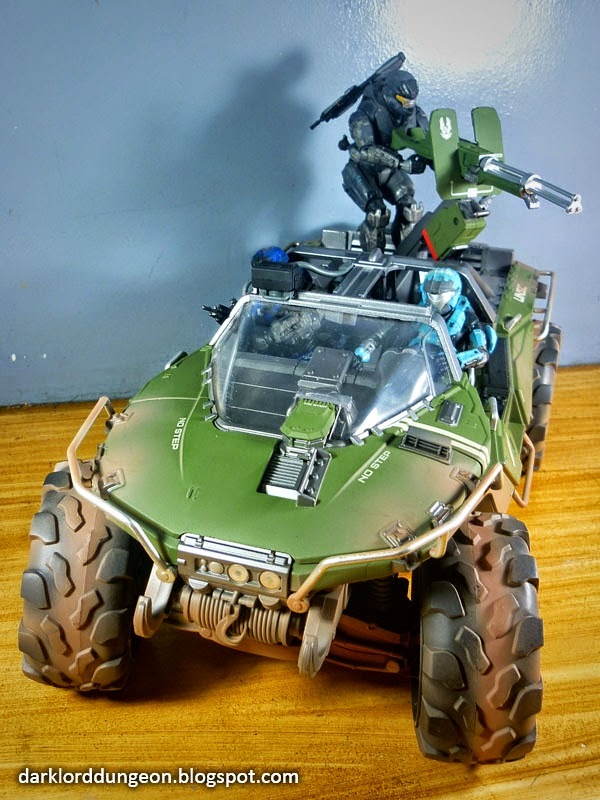 Now we should point out that when this blog started a lifetime ago in 2010, we featured the HALO Reach Warthog. Till today, that Warthog remains one of our most valuable Dungeon displays. But this puts it to shame. Over the past ten years or so Bungie has really made it a point to refine the graphics that went into the HALO games, but what here is more than a polish or design enhancement. This is a completely different vehicle. Presenting the Transformers Age of Extinction TF4 AOE Deluxe Scorn. 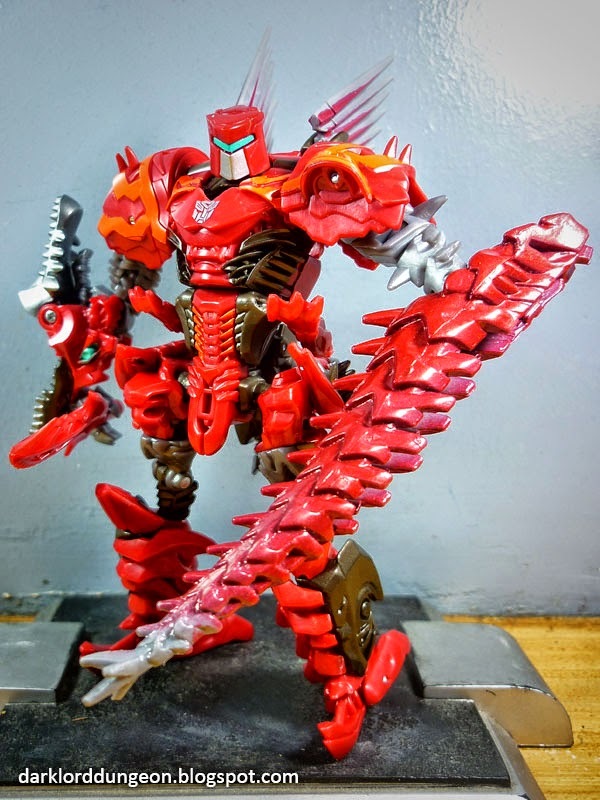 TF4 AOE Scorn is a Bayformer Dinobot - meaning he's not based upon any G1 Dinobot and was made just for the movie. We suppose Michael Bay found the idea of a Brontosaurus and a Stegosaurus too.... peaceful for the rampage he intended in Hongkong, and instead went for the dinosaur that killed the Tyrannosaurus Rex (Grimlock's Alt mode) in Jurassic Park 3 by snapping the T-Rex's neck: the Spinosaurus (We wonder if Bay is a fan of Jurassic Park). A Spinosaurus supposedly rivals the size of a T-Rex so we're wondering if one day we'll see a Leader Class version of Scorn. Presenting the hard-to-find Black Widow from the Marvel Legends Captain America the Winter Soldier Series. It really took a long time to find her. We're not sure if this is because Marvel wanted a female chase figure or because a lot of people like the Mandroid BAF and are chasing her because she has the connecting torso for the Mandroid. We have seen people complain "How does Marvel expect us to army build Mandroids?" We believe it's a toss up. There are those like us who don't care about the Mandroid and just want the hot Marvel Action figure, and there are those who just want the Mandroid (This is supported by the fact that she's quite common, loose on ebay where she still goes for quite a high price). So the Marvel Legends Black Widow is Hard-to-find, not rare. There is one on Amazon for US$ 34.99 plus shipping (Roughly PhP 1,539.56 plus shipping). 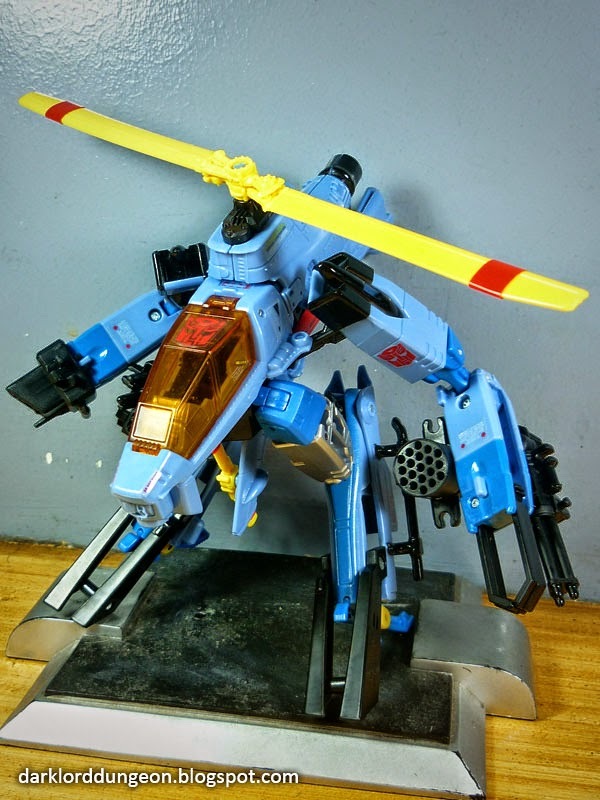 Presenting the Transformers Generations Whirl - in his "Heloped" mode. Okay: We're Robotech fans and we really love the Guardian/ Gerwalk mode. The Guardian/ Gerwalk mode is an accidentally discovered mode for a Veritech/ Valkyrie fighter in mid transformation to Battloid/ Battroid mode as you can see here in our review of a VF-1S Strike Valkyrie. And we've loved how this "accident" looked on various Starscreams that we've reviewed. None of them make use of in-between forms like Transformers Generations Whirl. 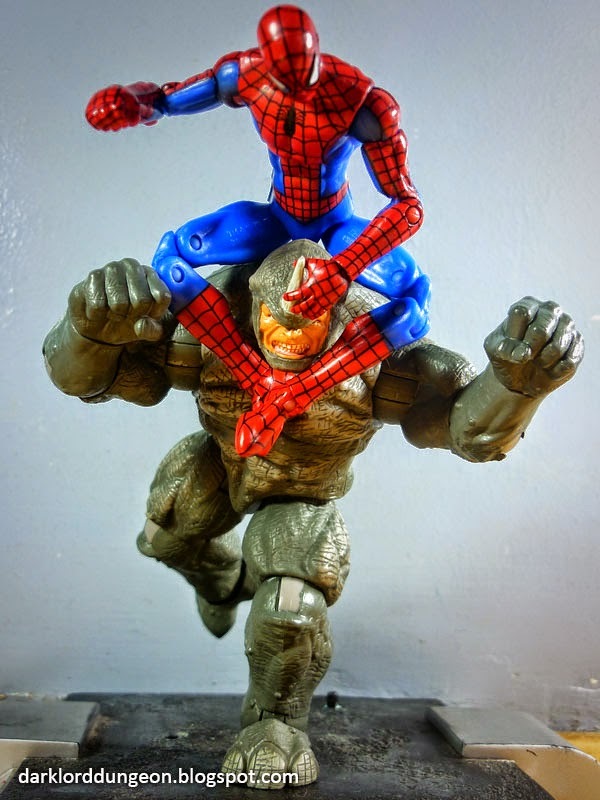 Presenting the Rhino from the Marvel Universe Series 5 toyline. To the uninitiated, the Rhino is Russian enforcer Aleksei Mikhai-lovich Sytsevich. He was chosen by the mob to undergo radiation and chemical experimentation because... get this.... "They thought he was stupid so they could control him"
Anyway, like the Hulk, the Marvel Universe's Rhino is Gamma Radiation born. Like the hulk, the Gamma Radiation gave Aleksei enhanced strength, endurance, resistance to injury and speed. To give him even more strength and resistance to injury the Russian mob bonded a suit to his skin that made him stronger, faster and more resistant to injury. The suit was later destroyed and the Rhino today uses a suit that isn't bonded to his skin. 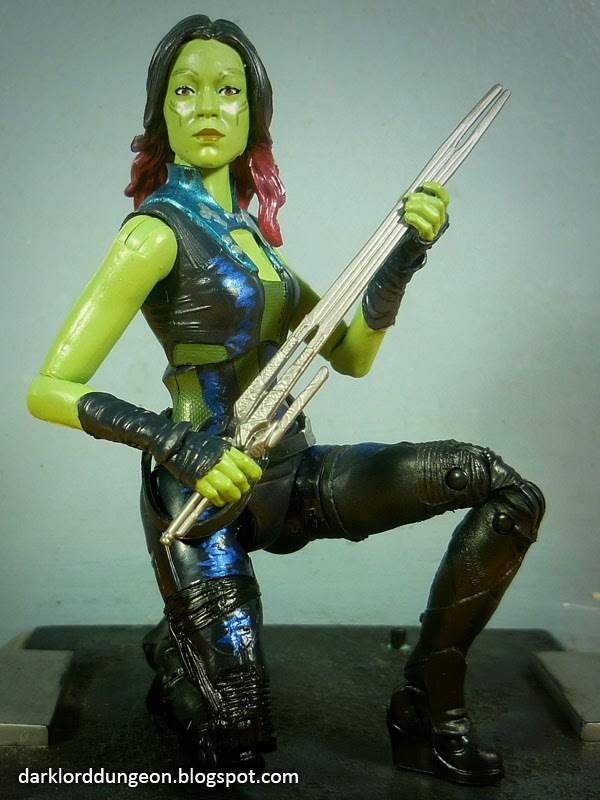 Presenting Gamora from the Marvel Legends Guardians of the Galaxy collection. If you haven't seen it yet, Guardians of the Galaxy is officially the Dungeon's "Best Movie of the Year!" (For now. After all we've yet to see Expendables 3). Spoilers now: In the movie, Gamora is the adopted daughter of Thanos forced to become an intergalactic assassin who is currently taking orders from Ronan the Accuser. She is played by the incredibly beautiful Zoe Saldana - who we suppose really has a thing for science fiction having starred in Star Trek and Avatar. We should probably note that Zoe Saldana doesn't look anything like the original Marvel 616 Gamora who dressed in snake-skin and could give the She-Hulk a run for her money as "Hottest Green Amazon." She also wore waaaaay less clothing than Zoe Saldana (Though later on her writers actually gave her real clothes). Oh yeah! Gamora in the comic books is known for making Tony Stark cry "Uncle" in the sack! Presenting Satana from the Marvel Legends 2013 SDCC Thunderbolts Boxed set. The 2013 SDCC Thunderbolts set comes with Satana, the Modern Day Luke Cage, Moonstone, the Ghost and Crossbones carrying a really big gattling gun. We've always wanted this particular figure set but since we stopped collecting Marvel Legends in the Dungeon in general thanks to the sad destruction of our core collection of Marvel Legends, US$190 seemed a bit to pricey to get the 2013 SDCC boxed set when all we wanted was Satana. But as you can see fate has brought us together. We found Satana a few nights ago in JAE's Collectibles in Megamall. When we saw her we had to have her, and here she is.